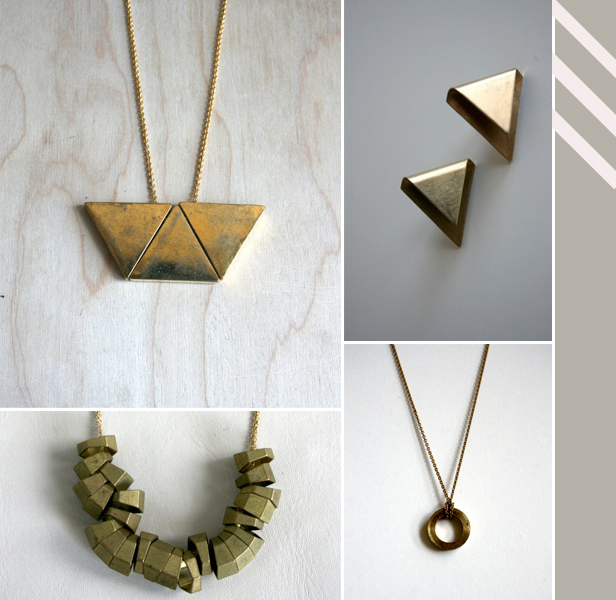 Lately, I've been gravitating toward jewelry with geometric shapes so when I found these great hand crafted pieces from Laura Lombardi Jewelry, the collection easily became a favorite. I'm coveting the Triangle Fold Earrings! Here's Laura's site to see more of her work. I've been drooling over her pieces for ever! So pretty!